The Faculty of Law is one of the oldest schools of the University of Bucharest, established in 1859. It is now the most reputed school of law in Romania. Its academic staff includes remarkable legal scholars, intellectuals and active politicians. Students are enrolled in various study programmes (BA degree, MA degree, PhD, post graduate studies). 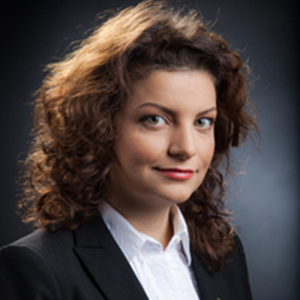 Andra-Roxana Trandafir is Assistant Professor at the University of Bucharest – Faculty of Law, teaching criminology and criminal law. From 2013 to 2015 she was invited professor at the University of Montpellier and the University of Panama. From 2014 to 2015 she pursued postdoctoral studies within the Faculty of Law, University of Bucharest. She is a member of the Romanian Bar and also Secretary General of the Association “Henri Capitant” of the Friends of the French Legal Culture – the Romanian Group. She published two books on Criminal Liability of Legal Persons and more than 40 articles in Romania and abroad. She is editor-in-chief of the MPPG’s Newsletter “Balkan Criminology News”.